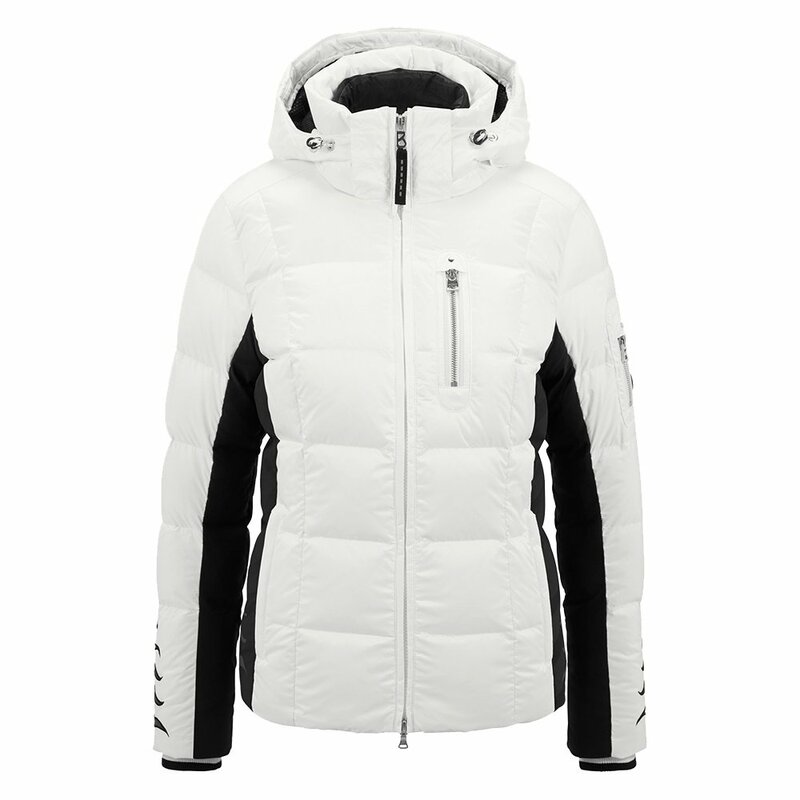 As one the sportiest options in the Bogner ski collection, the Bogner Wendy-D Down Ski Jacket is ideal for women who demand that their gear performs as hard as they do. If you’re first in line for the lift after a snow day, the 30K breathability and 20K waterproofing ratings are sure to be appreciated, as they offer the highest protection available from the company. Other welcome features for winter athletes include a powder skirt, a light interior lining, and a removable hood that’s compatible with optional Bogner fur trims. And for when you’re done for the day, there’s no need to run back to the chalet, as the Bogner Wendy-D Down Ski Jacket has style-savvy details like box quilt stitching and a classic Bogner racing decal to keep you looking on-point long into the evening.